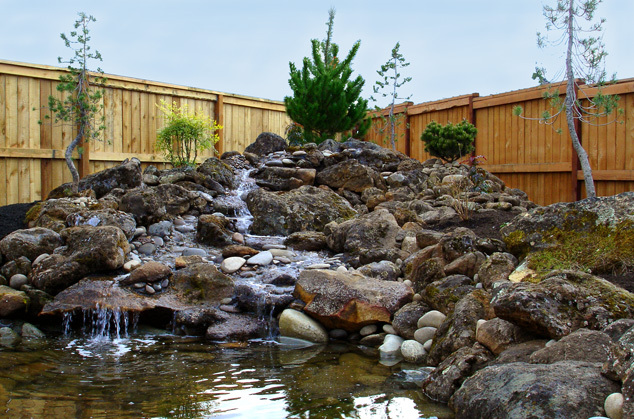 When it comes to relaxation and outdoor living, nothing compares to owning a water garden. The satisfaction that comes from listening to the soothing sounds of the waterfall and embracing the lifestyle is unbeatable. Created with Mother Nature’s intricate designs in mind, ecosystem water features offer outdoor living at its best. The system requires little maintenance, leaving you more time for outdoor living with less stress. If you’re interested in water features let us show you what we can do for you.